On May 08, 2018 Africa’s Travel Indaba will kick off at the Durban International Convention Centre. As we gear up for one of Africa’s largest tourism marketing events on the African calendar and one of the top three ‘must visit’ events of its kind on the global calendar; here’s your start up guide for Africa’s Travel Indaba 2018. 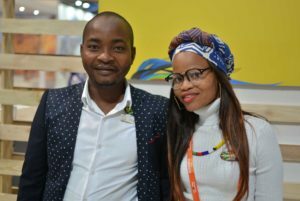 Durban, South Africa, May 5, 2018: Tourism in Africa is on the move and KwaZulu-Natal (KZN) and Durban will be the centre of attention with the hosting of Africa’s Travel Indaba – one of the largest tourism marketing events on the African calendar. All eyes will be on the Inkosi Albert Luthuli Convention Centre (ICC) from 8 – 10 May, 2018 when more than 7000 delegates from all over the world (64% international and 36 % South African) are expected to attend the Indaba with some 20 000 meetings to be held between exhibitors during the three-day exhibition. Underpinning Africa’s Travel Indaba is tourism which energizes economies and fuels the economic transformation of countries on the continent. Its benefits range from livelihoods improvement to export diversification. 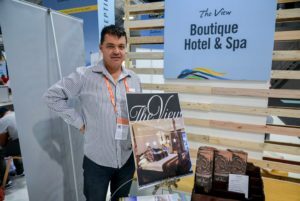 The economic direct spent for the Indaba is projected to be about R53 million with some 200 part time jobs created, apart from the spin-off – and with delegates from at least 80 countries expected. The 26th Indaba will showcase the widest variety of Africa’s top tourism products with 31 African countries participating this year compared to the 18 countries in the previous financial year. Forty-nine countries from outside Africa are allocated. Africa’s private sector is increasingly attracting investment from the United States and Europe, with China, India and others also investing heavily in the region. Tourism is one of the key industries driving the current change and tourism could be a transformative tool within this take-off. 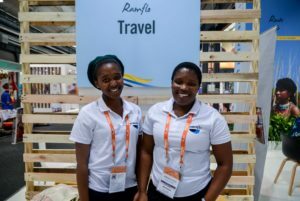 Africa’s Travel Indaba brings together a showcase of Southern African tourism products and services for the international travel trade. Exhibitors in the Durban Exhibition Centre (DEC) include, provincial authorities, provincial products and African Countries. At the ICC exhibitor categories include accommodation, tour operators, game lodges, transport, online travel, luxury products, Hidden Gems, media publications and industry associations. Outdoor exhibitors include transport, camping and safari companies. Indaba 2018 also marks the Mandela Centenary and Tourism KwaZulu-Natal (TKZN) will highlight stalwart Nelson Mandela’s footprint in the province. Among some of the events include MEC for Economic Development, Tourism and Environmental Affairs, Sihle Zikalala and the Mayor of eThekwini Municipality, Councillor Zandile Gumede holding a business breakfast which will attended by members of the tourism trade, media, strategic partners and stakeholders from government and the private sector on Tuesday, 8 May 2018. A much-awaited anticipated surprise announcement is to be made. Zikalala said KwaZulu-Natal was excited to host the 26th Indaba and said this year’s three-day show was expected to inject a whopping R89 million to KwaZulu-Natal’s GDP. 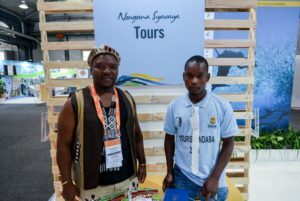 “The tourism showpiece has brought major spin offs for the tourism industry and associated businesses, big and small in KZN. Indaba is crucial to us as tourism is a key sector for spurring inclusive economic growth and employment creation,” Zikalala said. 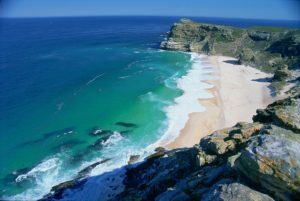 He explained that this was the reason the province had put in place and implement the KwaZulu-Natal Tourism Master Plan. “This wide-ranging plan is, itself, aligned to the National Tourism Sector Strategy, whose chief concern centres around creating and maintaining an environment conducive to sustainable growth. We call on our people to welcome our visitors with warmth so that when they go back to their respective countries, they become good KZN ambassadors,” Zikalala explained. 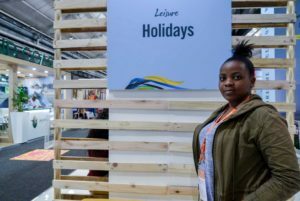 Phindile Makwakwa, Acting Chief Executive Officer forTKZN, said the Indaba was a showcase for the “future stars” of the local tourism industry. “It is a great opportunity for the industry and its stakeholders to come together and discuss the issues and opportunities facing the industry,” Makwakwa said. She added that small businesses were the true “Hidden Gems” of African tourism. “Managed sustainably, tourism is an effective development tool. When tourism’s environmental, social, and economic and other constraints are addressed, tourism energizes economies. The region has abundant assets, with expansive beaches, plentiful wildlife, extensive natural and cultural attractions, and adventure opportunities. Considerable opportunities for expansion exist in safari, beach, business, and diaspora tourism,” Makwakwa said. Makwakwa said the African continent had great potential to expand products that were more recently in greater demand, such as nature/adventure tourism, cultural heritage tourism, and travel for wellness, health and retirement purposes. According to a United Nation’s report Africa’s total share of the global travel market currently stands at 5% and was growing at a higher rate than global travel figures. Some 62 million travellers visited Africa in 2017, but Makwakwa said there was room for growth. 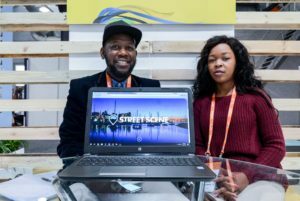 This year there is a 50% increase of small business exhibitors at the “Hidden Gems” pavilion with 135 small South African businesses exhibiting. “If we want to grow tourism in our province and our country, we must focus on small and developing businesses. They are the true future because it empowers people, provide job opportunities and instil pride in our beautiful country,” Makwakwa said. Sihle Zikalala is the Provincial Minister (MEC) for Economic Development, Tourism and Environmental Affairs and a leader of Government Business in the KwaZulu-Natal Provincial Legislature. Through exposure to the struggles waged by the South African liberation fighters such as former African National Congress (ANC) Presidents Nelson Mandela and Oliver Tambo, Zikalala worked tirelessly in the early 1990s mobilising communities to take part in the country’s first democratic elections in 1994. He is also lauded for the role he played in the peace processes that led to the end of the internecine political violence that mainly ravaged the province of KwaZulu-Natal in the early 1990s and threatened the country’s first democratic elections. Further investment attraction and retention is at the apex of his priorities. As MEC, Zikalala has used his exceptional negotiation skills to build good relations and trust with various stakeholders in the province’s economy including potential investors. Sisa Ntshona was appointed Chief Executive Officer of South African Tourism in October 2016. In this position, he is responsible for steering the destination marketing organisation’s mandate and operations, in both the domestic and international markets. 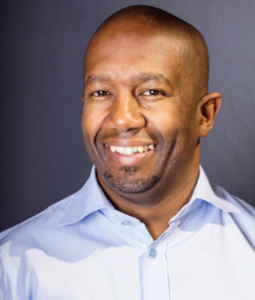 With more than 20 years’ experience, he has held several strategic leadership positions across various sectors, cutting across blue chip corporates and non-profit organisations; including Barclays Africa, Western Union, and South African Airways. Before joining South African Tourism, he served as the Head of SME Banking at Barclays Africa. He managed and run business operations successfully across the African continent and in the Middle East. He holds an MBA from GIBS and an International Executive Programme from INSEAD business school in France. Most recently, he was the chairman and president of the Enterprise Development Council of South Africa. This non-profit, regulatory body is responsible for coordinating the enterprise and supplier development element of the revised BBBEE Codes. 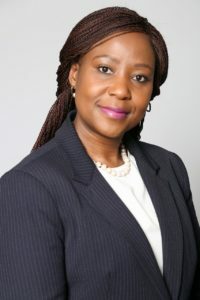 Phindile Mkwakwa is the acting CEO of Tourism KwaZulu-Natal. Before joining Tourism KZN, Mkwakwa cut her teeth in tourism promotion matched with environmental management and held the positions of Director: Media Liaison and Director: Communications in the Ministry and Department of Tourism & Environmental Affairs respectively. She started her career as a journalist with the Mercury newspaper in 1997. 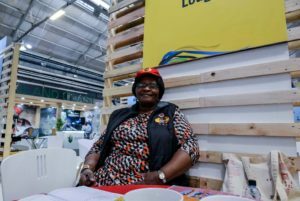 She was the Head of Secretariat: KwaZulu-Natal Climate Change Council, a position she took up following her successful project management of the Provincial COP 17 Programme for the KwaZulu-Natal Government in 2011. In this position she was responsible for the overall project management and monitoring of the Province’s 2010 World Cup Programme. She set up the 2010 Coordination Office in 2007. She co-chaired the Provincial 2010 Technical Committee. Mkwakwa was also the General Manager: Communications & Public Relations at Tourism KwaZulu-Natal. Hamish Erskine is the Chief Executive Officer of Dube TradePort Corporation. 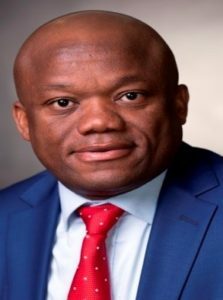 He is also the Chairperson of the KwaZulu-Natal Route Development Committee (Durban Direct), which is responsible for attracting airlines to fly directly into Durban, enabling greater global connectivity for both passengers and airfreight. Erskine has been leading the organisation’s operations in an acting role since February 2015. He started his career as a public servant in 1996 at the KwaZulu-Natal Provincial Legislature as head of the National Council of Provinces Division. In 1998 he moved to the KwaZulu-Natal Economic Council as Programme Manager where he began working as part of the small team conceptualising Dube TradePort. Erskine created two of DTPC’s commercial divisions,Dube iConnect and its property investment portfolio. He is responsible for leading the organisation as it grows its investment assets throughout its development zones under the umbrella of both the Special Economic Zones and commercial business zones. TKZN introduces the all new KZN Travel Guide now available free for download from the App Store and Google Play. 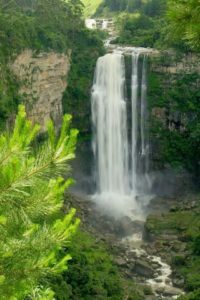 Tourism KwaZulu-Natal has developed a Cellphone Application (App) the Tourism KZN: Travel Guide that brings their local travel and tourism guide to tourists by highlighting domestic destinations, local activities, beach experiences and more. 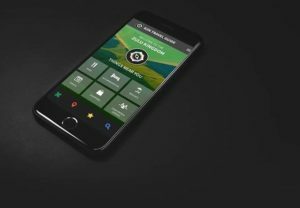 In addition to this the App advises visitors about things to do in Kwazulu-Natal like adventure or nature actives and it automatically sends the user notifications of current activities, events and many more attractions in KZN. The App includes a GPS discovery mode which plots the various attractions near the user at any point in time. To assist travellers TKZN included the 51 Tourism Information Offices that are dispersed around the province making destination information available and providing face to face assistance to guests. Download the Tourism KZN Mobile App and put the province in your pocket. Available from Google Play or App Stores. Fun under the Sun: Get glimpse of the beautiful city of Durban and what it has to offer by clicking here. 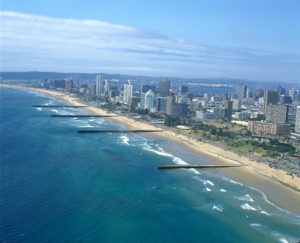 Durban, South Africa: A decision by British Airways to introduce a direct, non-stop flight between London’s Heathrow Airport and Durban’s King Shaka International Airport is a game changer for KwaZulu-Natal as it will be instrumental in contributing to an increase in international arrivals from the United Kingdom and North America. 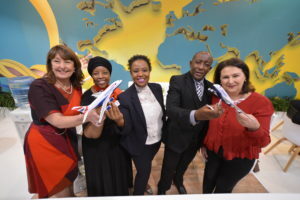 British Airways announced the introduction of the route to a global audience today (Tuesday, May the 8th 2018), while at the same time the MEC of Economic Development, Tourism and Environmental Affairs, Mr Sihle Zikalala, announced the long awaited decision to delegates attending Africa’s Travel INDABA in Durban. Following closely on the heels of airlines such as Qatar Airways , Emirates, Air Mauritius and Turkish Airlines, who offer direct flights to Doha, Dubai, Mauritius, and Istanbul, British Airways will begin flying three times weekly schedule direct from London Heathrow’s Terminal 5 to Durban’s, King Shaka International Airport , starting on 29th of October 2018. MEC, Zikalala said KwaZulu-Natal was eager to showcase the province’s various tourism products and myriad of tourist experiences, including some of the world’s most pristine natural habitats, which are enhanced by two World Heritage Sites, namely Ukhahlamba Drakensberg mountain range and St Lucia. Zikalala added that international cargo through Dube Cargo Terminal had experienced continuous year-on-year growth, which amounted to a 138 % increase in volumes since 2010. “The introduction of new passenger flights to Durban saw a growth of a 25 %in cargo volumes, as well as an increased frequency of chartered aircraft. In the 2017/218 financial year cargo growth reached 12 %,” he said. The announcement was also warmly welcome by eThekwini mayor, Cllr Zandile Gumede, who said it underpinned the council’s strategy to attract visitors and investors from the UK and European market to Durban. “This flight will create an enabling environment for our city to do business with our European partners with ease,” Gumede said. About 90 000 passengers currently fly indirectly between Durban and London via Johannesburg or other hubs like Dubai. 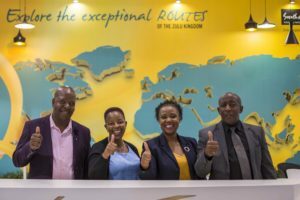 Phindile Makwakwa, Acting Chief Executive Officer for Tourism KwaZulu-Natal, said the UK was already KwaZulu-Natal’s top international market and the direct flights would be a boost to arrivals in the Province, both for leisure tourists and business travellers. King Shaka International Airport is located in a precinct which is experiencing rapid growth due to the business opportunities created through Dube TradePort Special Economic Zone. 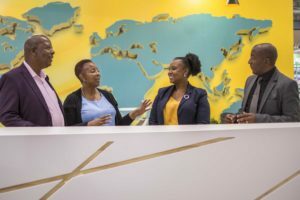 While business will flourish, direct flights also offer locals more choice and the opportunity to connect to cities and countries around the world, Makwakwa added. Dube TradePort is the only facility in Africa combining an international airport, dedicated cargo terminal, warehousing, offices, retail, hotels and agriculture. 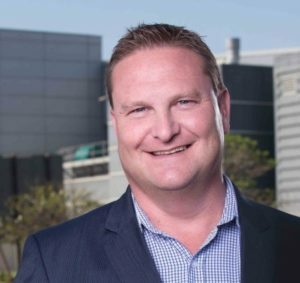 Hamish Erskine, CEO for Dube TradePort, said the Durban – London air service was in line with the global trend where airlines were increasingly flying directly into major secondary cities from global economic hubs. “This presents an enormous opportunity for both destinations to grow business, trade, investment, cultural and tourism links. Currently, there are some 90 000 passengers flying between London and Durban every year, King Shaka International also saw passenger volumes reach 5.6 million for the first time in the last financial year. ” Erskine said. South African exports to the UK make up 4.5% of the country’s total exports. The US and the United Kingdom are the thirds and fourth largest air cargo trade routes in and out of KZN. “We foresee a healthy demand on the UK route, as it stands airfreight volumes between Durban and London are in excess 1500 tons per annum, this is expected to increase substantially with additional volumes into the US markets connecting via British Airways London hub,” Erskine said. Alex Cruz, British Airways’ Chairman and CEO, said Durban’s warm water, hot summers and laid-back beachy vibe make this coastal city the perfect holiday destination for the Brits. “It is a gateway to many nature reserves, parks and historic sites, and has a thriving food, drink and art scene; defining the city as a must-visit for culture and adventure,” Cruz said. From an economic standpoint, this route also augurs well for improved trade relations as the United Kingdom is currently South Africa’s second largest export trade partner in Europe. It gives us great pleasure to welcome you to the Durban, KZN Indaba Breakfast. For most that might not have travelled to KZN before, allow me to take you on a small journey through our rolling hills, majestic mountains, sweeping countryside and inviting oceans. After all, when you think of tourism, one has to think of this province and its spectacular tourism offerings. Tourism, as you know is a new frontier to push back poverty and declining economies. It is the new answer to energizing entire economies, not only in South Africa or the African continent, but the world at large. It has its tentacles into a myriad of economic activities, all set to prioritize tourism as a development tool. Our government’s political support at the highest level for tourism is essential and never waning. We thus play a crucial role in coordinating different public sector agencies involved in the tourism value chain, the relevant private profit and non-profit entities, and local communities. Our focus is to create an enabling environment for private investment, thereby directly using the tourism sector as a catalyst which, along with other interventions, meaningfully pushes back the challenges of inequality, joblessness and poverty currently facing our people. KZN has the infrastructure to assist in the promotion of the country for marketing and investment. Without the private sector’s investment in accommodation, attractions, and tourism services and facilities, and its knowledge transfer, there can be no tourism sector. Ladies and gentlemen allow me to take you through the journey that demonstrates just how committed we are to tourism growth in KwaZulu-Natal. Our vision is to position KZN as Africa’s leading tourism destination both nationally and internationally. In order for our vision to be realized we, and this include many stakeholders and role-players, have been hard at work at developing sustainable development plans. We have identified eight main objectives, the top three being to increase foreign arrivals, grow KwaZulu-Natal’s domestic tourism share, and to increase tourism spend. To achieve our objectives we have identified several key development projects that are in various stages of implementation in collaboration between the public and private sectors. We are of the firm belief that in KwaZulu-Natal tourism is poised to take a positive growth trajectory. Tourism has an estimated contribution of 8% to the provincial GDP which translates to a conservative figure of R24 billion in financial terms. Our ambitions are centered on our Tourism Master Plan, which serves as the blueprint towards increased tourism figures, especially with respect to the attraction of foreign visitors. We want to grow the tourism impact on the province’s GDP to between R65 billion and R98 billion over the next two years which would guarantee the realisation of our target of creating 183 000 direct jobs over the same period. Ultimately, we want to attract no less than 3.4 million international visitors by 2030. On the domestic front, we intend increasing our local market share to 16.3 million by 2020 and 24.1 million by 2030. Among the major tourism infrastructure projects in the pipeline are beach resorts and hotels; including Tinley Manor Beach Resort valued at R1.2 billion; Blythedale Coastal Resort, valued at R350 million, both of which are the Northern parts of KZN. All the other developments as you can observe on the slide show are spread across the province, with a total value of just under R1.4 billion. Within the city of Durban alone, we have several inner city developments that are being implemented and those that are near implementation. One such major development that promises to change the face of our city and ensure it lives true to being the “Miami of Africa”, is the Point Waterfront development, which is valued at R40 billion. The city rejuvenation programme will also see the upgrade of the Warwick precinct, valued at R1.3 billion, as well as the Centrum government precinct development which is valued at R9.3 billion and will include the extension of the Durban International Convention Centre. Durban already enjoys the position of Africa’s leading cruise destination and the planned upgrade of the cruise terminal, which is valued at R215 million and is due to open its doors in 2020, will greatly boost the tourist experience. The Cornubia mixed-used development on the North of Durban incorporates industrial, commercial and residential uses and has an investment value of R25 billion. The Dube Trade Port, which is the home of the King Shaka International Airport, will be the only facility in Africa combining an international airport, a dedicated cargo terminal, warehousing offices, retail, hotels and agriculture. Further development at DTP are valued at R13 billion. Among projects in preparation are the Virginia Airport redevelopment at R6.1 billion, the Durban Iconic Tower which will be the tallest building in the Southern hemisphere at R7.3 billion, and the Durban Film City at R7.5 billion. A number of extensions to existing developments are underway including the Beverly Hills Hotel in Umhlanga, the Suncoast Hotel, Oceans Umhlanga which will incorporate the Redison, as well as some of the city’s major retail malls, the Gateway Threatre of Shopping in Umhlanga and the Pavilion and Westwood malls in Westville. Ladies and gentlemen, I am also happy to announce a game changing development for Destination Durban, one that will see our coastal city and province open up even more to be world, thus becoming truly globally connected and competitive. It gives me immense pleasure to announce that as I stand before you this morning; a very important development is being announced by British Airways (BA) of the airline’s decision to fly directly from London’s Heathrow Airport to Durban’s King Shaka International Airport. British Airway’s new direct service between the two cities will commence on the 29th of October with three direct flights a week from Heathrow to our spectacular city. As of tomorrow, the public can book their flight between London and Durban on the 214 passenger aircraft. Ladies and gentlemen, we have among us, Ms Sue Petri, British Airways Commercial Manager for Southern Africa, who has played an important role in ensuring that we finally have direct flights between Durban and London. Let’s give her a big round of applause! Programme Director, Great Britain and KwaZulu-Natal share a very rich history, and we are excited to rekindle that relationship with the launch of this new route. The investment and trade opportunities presented by this direct flight between Durban and London will undoubtedly add huge value to our economy. Today’s announcement augurs well for KwaZulu-Natal’s Route Development Strategy which aims to provide a mechanism for attracting and supporting new and direct air services routes for King Shaka International Airport. This new route adds to our growing number of international flights, amongst which can be counted flights connecting us to key world’s destinations such as the Gulf region, the Middle East, the Indian Subcontinent, North Asia, Australia as well as Beijing, Shanghai, Tokyo and Seoul through the hub in Abu Dhabi. We are happy that approximately 10 000 passengers who currently fly indirectly between Durban and London via Johannesburg will now fly directly to Durban. This will drastically reduce travel times and costs. Lastly, Ladies and gentlemen, allow me to thank you for being such a wonderful audience and to also assure our international visitors in particular that true to its reputation of being the warmest place to be, Durban and KwaZulu-Natal, will not disappoint and will, once again, deliver nothing but fond memories during the 2018 edition of Africa’s Tourism Indaba. 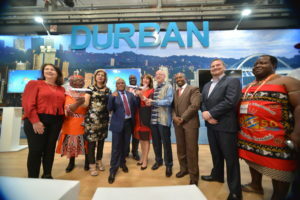 Durban, May 8, 2018: South Africa’s Minister of Tourism Derrick Hanekom officially opened the Tourism KwaZulu-Natal (TKZN) stand at the Durban Exhibition Centre today. He was joined by TKZN acting CEO Phindile Makwakwa, CEO of Dube Tradeport Hamish Erskine, and Sue Petrie, British Airways regional commercial manager for Southern Africa among other dignitaries. The TKZN stand was the first to be officially opened following the Ringing of the Bell ceremony at 10 am – indicating the first day of Africa’s Travel. As part of the official TKZN stand, also included is the emerging tourism entrepreneurs hub which has 10 exhibitors. These include: Street Scene Tours; Romatlo Travel; The Tours, La Teranga Guest House; The View Boutique Hotel and Spa; Dukuduku B & B, Nongoma Syavaya Tours, Lala Khona B & B, Leisure Holidays and Ekhaya Boutique Hotel. TKZN also showcased various tourism routes within KZN which included Southern Explorer, Midlands Meander, Battlefield routes, Birding Routes, Drakensberg Experience, Route 66 and N3 Gateway. Visitors are encouraged to visit the SMME stands as these are seen as the future of tourism growth and economic development in the province. Earlier in the day it was standing room only at the Indaba Business Breakfast at the Hilton Hotel with the big news being that British Airways (BA) will introduce direct Durban –London flights from 29 October this year. The announcement by KwaZulu-Natal MEC for Economic Development, Tourism and environmental Affairs, Sihle Zikalala was met with applause from the audience. The Breakfast was broadcast live on CNBC Africa with a panel discussion following the speeches by the deputy mayor of the eThekwini Municipality, Fawzia Peer, Erskine, Makwakwa, Petrie, and Sisa Ntshona, CEO of South African Tourism. Zikalala outlined some of the highlights of the R25 billion development projects planned for Durban and KwaZulu-Natal. Among the major tourism infrastructure projects in the pipeline are beach resorts and hotels on including Tinley Manor Beach Resort valued at R1.2 billion; Blythedale Coastal Resort, valued at R350 million, both of which are the Northern parts of KZN. Other are spread across the province, with a total value of just under R1.4 billion. 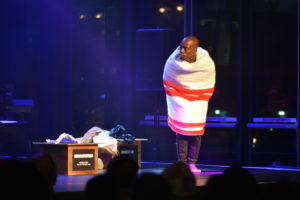 Durban, May 09, 2018: Nelson Mandela’s legacy was celebrated at Africa’s Travel Indaba 2018 in Durban last night (May 8, 2018) when visitors and delegates were treated to a showcase produced by renowned South African playwright and artistic director of the Market Theatre, James Ngcobo. 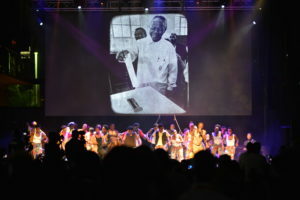 The performance displayed the life and legacy of Nelson Mandela in celebration of the former statesman’s 100th birthday. 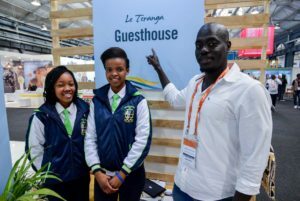 The show was part of the official opening of Africa’s Travel Indaba at the iNkosi Albert Luthuli Convention Centre in Durban. 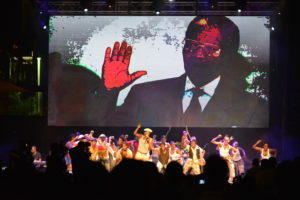 During the two 20 minute performances delegates were entertained against a backdrop of pictures, photographs and news clips portraying Madiba’s life. Madiba’s legacy is also celebrated by way of various installations at the Indaba venue. South Africa is also being showcase through Nelson Mandela’s experiences with the launch of the Madiba’s Journey App. The App allows users to view the attractions on a map, build their itineraries and share their own journeys on social media. The Madiba’s Journey App features 100 tourist attractions of significance in the life of the iconic leader, one for each year he spent behind bars as a political prisoner. 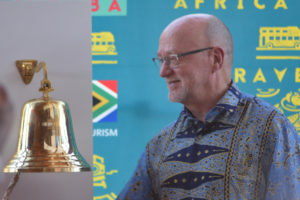 South Africa’s Minister of Tourism, Derek Hanekom, said story telling was part of Africa “including the story of Nelson Mandela. 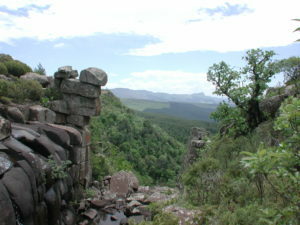 As they become better known people will put them on their bucket list of places to visit,” Hanekom said. He said although 62 million people visited Afrca last year, it was only 5% of global tourism. The minister said meaning opportunities must be created and the (tourism) value chain should be all inclusive, embracing women, young people and rural areas. 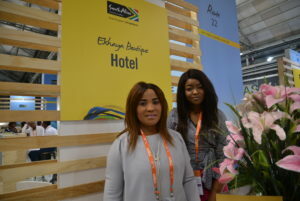 “There are 135 smaller enterprises at Indaba this year, the “Hidden Gems” of African tourism,” Hanekom said. TKZN has revamped and enhanced its SMME incubation programme – not only so that more emerging tourism entrepreneurs are assisted, but also to ensure that their businesses experience sustainable development and growth. The programme continues to focus on leisure tourism SMMEs that operate as tour operators, travel agents and accommodation establishments, and its enhanced strategy is aimed directly at helping these emerging businesses survive during the start-up phase, the stage at which they are most vulnerable. and support to participate in trade show and exhibitions. WATCH: In case you missed out on all things fun and exciting at Africa’s Travel Indaba 2018, don’t worry we have got you covered. Just click here. 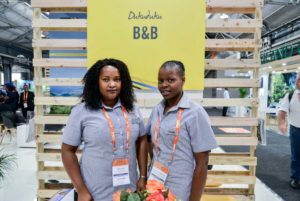 Durban, May 14, 2018: The significance of tourism to Africa and its economy was once again cemented at this year’s Africa’s Travel Indaba with delegates from 80 countries in attendance. Overall Registrations reached the 7 000 mark, resulting in an increase of 4% from last year’s figures. “Indaba’s goal is to create a platform that allows the world to do business with Africa and business is happening. We are therefore encouraged by the number of buyers and exhibitors who have come from various parts of the world. They are our valued partners, who assist us to package and sell Africa to the world,” says South African Tourism’s Chief Executive Officer, Sisa Ntshona. There was a total of 1 747 registered buyers, an increase of 14% from last year, while there were over 1 100 registered exhibitors, an increase of 5.7% from last year. Of the exhibitors, 200 were firsts time exhibitors. 23 African countries attended the Indaba. “When we took the decision to make Indaba a pan-African event, it was a deliberate strategy on our part of boost the African economy,” says Ntshona. It is important that Indaba creates a lasting legacy for the City of Durban and the economy of the KwaZulu-Natal Province by encouraging and supporting local procurement. Last year it was announced that the Inkosi Albert Luthuli Convention Centre would be home to the Indaba for the next five years. This year’s three-day show is expected to inject a R89 million to KZN’s GDP. “This is the 21st anniversary of the Durban ICC this year – a fitting way to start our five-year journey with this award-winning venue,” says Ntshona. “The city of Durban is excited to host Africa’s Travel Indaba in 2018. Tourism remains the major economic contributor and vital in creating job opportunities,” Phillip Sithole, Deputy City Manager for Economic Development and Planning for the city of eThekwini. “Indaba is one of the events we are proud to host as it gives us the results that the city needs to boost tourism and investor participation in the city’s key infrastructure programs that aim to change the landscape of the city,” he adds. Boosting the City and province is the recent announcement of the direct flight from Heathrow to King Shaka International Airport. “This means the gateway to UK and Europe is now opened for investors and visitors. Real work has begun, together with our partners – KwaZulu-Natal Tourism, South African Tourism to ensure that this flight becomes a success,” he says. 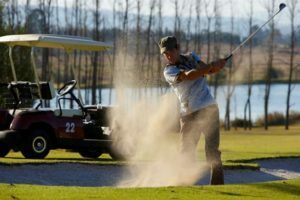 During this Indaba KwaZulu-Natal Tourism also positioned its marketing on the different routes offered in the province. “We also ensured that there is a strong focus on positioning SMMEs and affording them the opportunity to engage with big business,” says Makwakwa. South African Tourism’s Hidden Gems programme included 135 SMMEs from across the country. In addition, the Provinces hosted SMMEs from their areas on their stands. Another highlight of this year’s Indaba is its partnership with the Nelson Mandela Foundation on the Nelson Mandela 100 centenary programme, with various activations throughout the three days of the Indaba. The networking opening event celebrated the global icon with local flair with a local cast directed by renowned local director. “We invite you to the 100 places of Madiba and share your experiences with the world. Walk in the footprints of Madiba and find the better person in you,” says Ntshona. A record 62 million people visited Africa in 2017 – an 8% year on year growth. 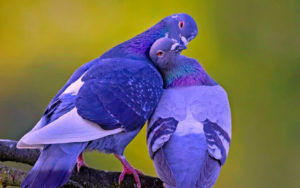 It is also symbolic that May is Africa Month and that the Indaba falls within this month. Ms Sue Petrie (far left) Commercial Manager for Southern Africa British Airways, Thokozani Cili, Acting GM for Trade and Investment KwaZulu-Natal, Phindile Makwakwa, Acting CEO for Tourism KwaZulu-Natal (centre), and Sithembiso Madlala, Chairperson for TKZN (far right) and Cristina Graham – Corporate Sales Manager for BA.